1. 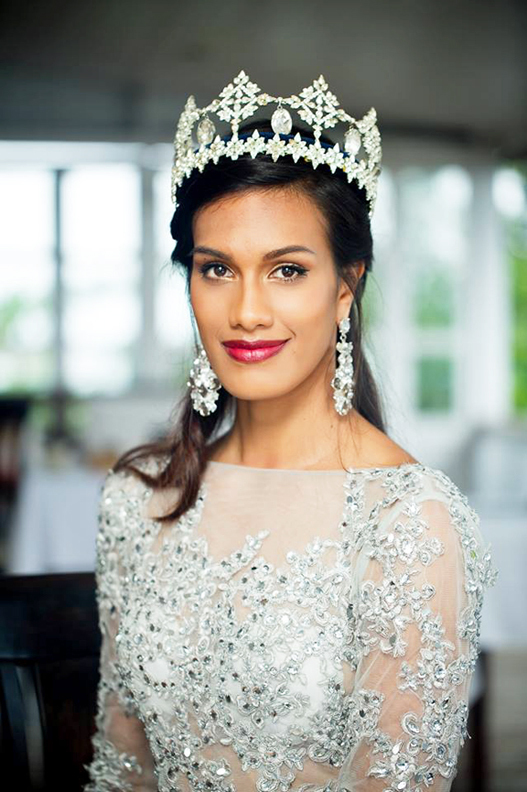 Tell us a little about yourself, your family background, education, and how you became Miss World Fiji 2015. I was born and raised in Suva, the capital of Fiji. I originally hail from Savusavu, which is another island north of Fiji and is Fiji’s hidden paradise. I come from a family of 6 - I have two brothers and one sister including my mum and dad. I attended Holy Trinity Primary School and Yat Sen Secondary School. I later furthered my studies at the University of the South Pacific pursuing a double degree in Political Science and Economics. I later completed my studies on a basketball scholarship at Brigham Young University - Hawaii (BYUH) and graduated with my Bachelor of Arts in Political science. I returned to Fiji and started work at the regional organisation, the Secretariat of the Pacific Community (SPC) as an Information’s and communications assistant. I work in the Land Resources Division (LRD) under a European Union (EU) support programme, the Pacific Agriculture Policy Project (PAPP). It was really not by choice signing up to be part of this Miss World Fiji journey. It just so happened that I was in the area where the castings were taking place to choose the top ten contenders for Miss World Fiji. I was later asked to try out and I thought to myself, "What have I got to lose" and went for it. I really didn’t expect to get far in this journey, but all I can say that it’s been a real blessing and was definitely God ordained. I will be completely honest and say that I was never into pageants and did not pay much attention to it, even our local pageants in Fiji. I am a very athletic and sporty person, so I lived my life according to my sporting dreams and career. However, in entering this incredible platform, I now see its significance and how I am now able to advocate for things that I am passionate about. I have a deep passion to work with children and also share my experiences on the true meaning of inner beauty to young women and this platform have provided me with this amazing opportunity. 3. 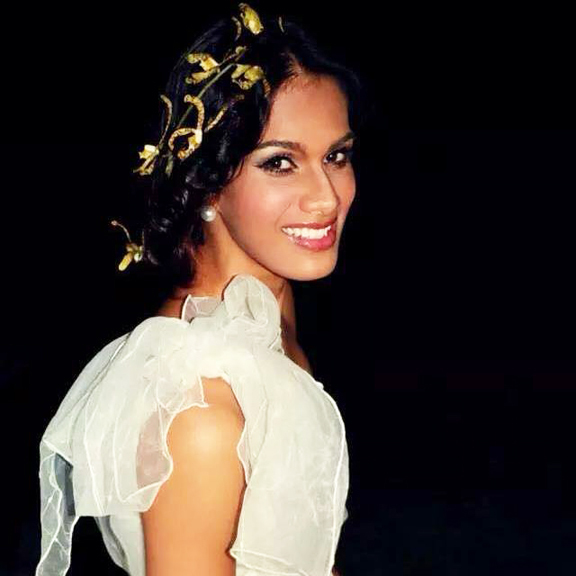 How does it feel to represent Fiji in Miss World 2015? I am very privileged to be representing my home country at Miss World. I have represented Fiji on a number of occasions for basketball as part of the Fiji team, but representing Fiji on a beauty platform is a completely different feeling. It is overall a very humbling experience. A life-changing experience in my life would have had to be after I had knee surgery after a basketball injury. It really made me realize that things are not handed to anyone on a silver platter, if I wanted something, I needed to get out there and work for it myself. My rehabilitation was the most challenging journey of my life but because of my passion to get back on the court, I worked hard for what I wanted to achieve and after 3 months I was back on the court. 6. French writer André Gide once said, “It is better to be hated for what you are than to be loved for what you are not.” Do you agree with this statement? Yes, I completely agree with this statement. I am all about being original and genuine and I believe that these aspects will make you stand out of the crowd. It is better for people to see who you really are and your originality than a mask covering your uniqueness. I play basketball and love watching a whole season of TV series when I unwind. My strength is team work. Given my experience of playing basketball and working and playing in a team has granted me the ability to build and encourage team members. I strongly believe that there is no "I" in TEAM, and being able to work together and lift each other up is the best way forward to progress and development - whether it be your work colleagues, family or sporting team. 9. If you could change one thing in the world, what would you change and why? Given the opportunity to change one thing in the world, I would change people’s approach to addressing poverty on an international scale. It saddens me to see poverty stricken families, especially children struggling to make ends meet. I believe that if we place more emphasis on addressing the issue of poverty rather than having numerous planning meetings and workshops, action should be initiated by national governments. Budget allocation should be increased for these social issues. I know it is easier said than done, but sky is the limit so why not take action now? 10. What makes Fiji stand out from the other countries in Oceania? Fiji's location is incredible - it located in the Pacific Ocean and consists of 332 islands in total. Fiji represents an array of cultures and ethnic groups and is known for its friendly isles. In addition, we have a booming tourism industry, and as a result of this, we Fijians have become so accustomed to working and living with people from different backgrounds and upbringings. I am not big on reading magazines unless it is work related - agriculture/forestry magazines. However, I would not mind being featured on a magazine with a write-up highlighting my advocacy on this platform in hopes of inspiring young people, particularly women. 12. If you were on a TV talk show and could get one message across to the viewers, what subject would it be on? My message would definitely be about inner beauty and how one can use their values and morals to serve others. People that truly matter will choose to see past your physical flaws and will begin to see you for who you really are because of attributes and standards. In 2014, we recognized the need for a new Ventilator in The Children’s Ward at The Colonial War Memorial Hospital. Our 2014 title holder, Charlene Tafuna’i began fundraising efforts and raised awareness in Fiji about the importance of a Ventilator, a machine that assists new born babies that have difficulty with breathing and saving lives.Our Beauty with a Purpose efforts attracted corporate donations from our National Airline, Fiji Airways who generously donated $50,000. At our national finals on July 24th, 2015, our Honourable Minister of Industry, Trade and Tourism, Mr. Faiyaz Koya pledged a further $20,000 towards our fundraising efforts towards the purchasing of a new Ventilator Machine. As Miss Fiji 2015, I am continuing with the fundraising efforts to raise the balance of $30,000 required to purchasing of the new machine. This year and as part of our Beauty with a Purpose platform, Miss World Fiji is working on various creative concepts to bring awareness and raise the much needed balance in the purchasing of a new ventilator and gift to The Children’s ward at The Colonial War Memorial Hospital. Fiji’s largest bakery chain, The Hot Bread Kitchen alongside our Miss World Fiji Family are creating cupcakes that will be sold throughout their stores nationwide and a dollar from each cupcake sold will be donated towards our Beauty with a Purpose campaign.As a former Basketball representative for Fiji, I am also working alongside Bulalicious, an innovative new active wear brand that provides clothing with a conscience. All of the garments are designed and made in Fiji. Bulalicious partnered with Miss World Fiji in order to create funds for our Beauty with a Purpose Fundraising efforts to purchasing of a new ventilator. Myself and Bulalicious took part in a children's "Art attack' afternoon in The Children’s ward at The Colonial War Memorial Hospital. This artwork will then inspire the new Bulalicious 'Miss World Fiji' line. I will work closely with the design team using my Basketball experience to influence the design and manufacturing process. Once the clothing line is developed, these will be sold and a percentage of profits from each garment will be donated towards Fiji’s BWAP project. This project relates to the platform of Miss World’s Beauty with a Purpose as it is a Humanitarian effort in that of identifying the need for a Ventilator to assist new born babies at our local hospital while in the process, saving precious lives.A life saved is a skilled gained as I believe, each and every Fijian is responsible to how far our country has developed, inspired and impacted our Pacific Island Community. Our children are our future – we are raising up future leaders and that in itself is the essence needed to make a unique Miss World. I would like to be Miss World 2015 because I believe that this role is about serving, which has always been a deep passion of mine. Serving others and being able to put their needs before my own is the most satisfying thing I can achieve from being crowned Miss World 2015. It is having that position to make more of an impact with a wider outreach to communities that need that assistance and help. This is what is holding this title is all about and I am passionate and determined to fulfil this duty to my country and others on an international scale. Quote – "Humble yourselves in the sight of the Lord and he shall lift you up - James 4:10"
Special thanks to Andhy Blake, Director of Miss World Fiji, for facilitating this interview! Critical Beauty wishes the best of luck to Brittany at Miss World 2015!